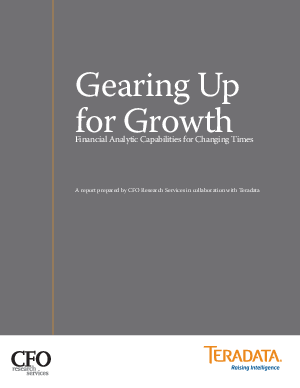 In March of 2011, CFO Research Services conducted a survey among more than 200 senior finance executives primarily in the United States to explore how well companies' information systems are supporting finance executives' ongoing efforts to transform the finance function into a value-added partner to the business. Especially in the aftermath of a worldwide recession, do CFOs and their staffs have the information they need to deliver real business value throughout the organization? How well equipped are they to provide the kinds of critical and useful business analytics that can drive the company forward? Download this paper to learn the findings of our research.